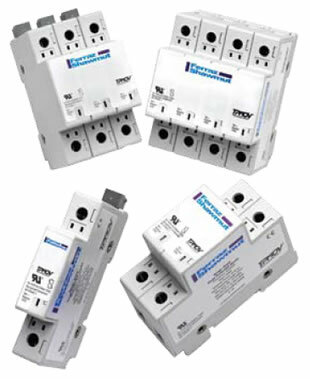 Surge-Trap® Surge Protective Device is a no-fuse surge suppressor. The Surge-Trap is a UL 1449 Third Edition compliant surge protective device with a modular thermally protected transient voltage surge suppressor. It is DIN-rail mountable featuring a fail-safe self-protected design, visual indicator and a small foot print. A remote indicator option provides status to critical control circuit. The Surge-Trap provides an interrupting rating and a Thermally Protected MOV without additional protection devices. Copyright © 2010 Pacific Parts & Controls, Inc. All Rights Reserved.